In order to grab potential customer’s interests on social media channels, hotels need to provide valuable information, interesting insights, or solutions to the guests’ pain points. Furthermore, it is important to create a calendar, stick to the schedule, and remain consistent. Below are some ideas on what to post on social media channels to continue building interest on your hotel. Informational topics – Choose a topic or two where the hotel can be positioned as the expert. Then disseminate this information to the target customers. Does the hotel handle hundreds of weddings every year? Does the destination appeal to corporations and does the hotel provide ample meeting/conference space? Is the hotel a popular destination for international travelers? Consider items that would be of interest to these various customers and provide a solution to their needs. Educational Materials – There are tons of educational pieces available online. When coming across a topic that hoteliers deem helpful to their target customers, the next logical step is to share the information on the hotel’s blog, Facebook page, Twitter, or other social media channels. Furthermore, when sharing information online it is wise to reference the source of the data. Doing so provides credibility to the hotel’s post. Social Cause Marketing Initiatives – Today’s consumers are becoming increasingly environmentally and socially conscious. According to a recent eMarketer study, “Overall, 88% of respondents said they believed cause marketing was “acceptable,” 80% said such marketing made them likely to switch brands, and 19% were willing to pay more for a pricier brand that participated in a positive social or environmental cause.” Hoteliers can connect with these consumers by sharing upcoming fundraisers, employee causes, and volunteer opportunities. Doing so not only help a cause, but also improve consumer perception about the hotel and its management team. Facebook’s ‘Events’ Tab – any upcoming events in the local area can be shared using Facebook’s events application. This can drive traffic to the hotel’s Facebook page and increase its fan-base. Specials and Packages – everyone looks for a good deal, and when shoppers find one that’s worth sharing, they do exactly that. Ask Open Ended Questions – this is a great way to encourage user interaction. When someone comments on a post, it will add a thumbnail to their wall and into their friends’ news feeds as well. Try a Twitter Interview – find someone of interest for the hotel’s target market. If the hotel has a wedding venue, seek out a highly regarded wedding planner and ask a few relevant questions. It is important to keep the interview to an appropriate length, promote it in advance, and encourage participation from followers. Furthermore, posting a copy of the transcript on the hotel’s blog and sharing it on other social media platforms can help with the hotel’s search and social media marketing strategy. 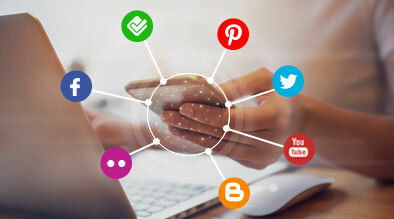 The beauty of social media is that hotels can directly connect with hotel guests and potential customers. Hoteliers can listen to what people are sharing in these channels and jump into conversations relevant to the hotel, its local market, and its target customers.